Setting aside reserves or getting a line of credit for ICD-10 may not be enough. When you combine additional expenses for several months with loss of revenue for up to three months or more, you might want to look at how you can cut expenses in your business. Managing expenses and containing costs is actually something you should do on a regular basis as part of your annual budgeting. 1. Reduce Utilities: You should always be looking at ways to minimize costs for electricity, Internet, phones, etc. Watch for competitive rates and special offers that may reduce these expenses. 2. Review Contracts & Leases: Review all your vendor contracts and leases each year and get competitive quotes from at least two or three other vendors. Also, look for ways to reduce usage for printers, copiers, and other equipment. With more automated solutions, some of these items may become obsolete. 3. Automate or Outsource Processes: If you are still doing many practice management, billing, and clinical tasks manually, now is the time to automate or outsource. For example, manually processing paper statements can easily cost two or three times what it costs to use a statement service. Using a medical billing service is often a less expensive alternative to having full time billing staff and can improve your overall collections. According to the Medical Group Management Society, using an integrated practice management and EHR solution can increase your revenue by almost 10% while also reducing expenses for many supplies and time spent on previously manual tasks. You may wonder why the largest expense of all—staffing costs—is not included above. 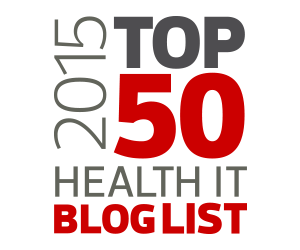 It’s because there are some special considerations around staffing with regard to ICD-10. On the one hand, this is probably not the time for overtime, raises, or bonuses. Wait until after January 2016 to look at that and explain to staff the reasons why. Conversely, this is also not the time to make staff cutbacks. Generally when looking at cost reductions, this would be the first place to consider. But you’ll probably need all your resources and then some to manage this transition. Even with the addition of new technology, any staff changes should also probably wait until 2016 when things have settled down. 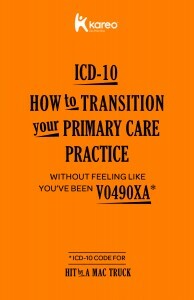 For more strategies to plan and prepare for ICD-10, download the new eBook, ICD-10: How to Transition Your Primary Care Practice.